We may not be having the same problems with high rents and no land as they are in the Bay area and other parts of the country, but it’s still a good time to be a landlord. The San Francisco bay area has soared 50% over the last 5 years! That’s a lot! The median rent in that area is currently $3500. Wow! Of course, that’s nowhere near the rental median price in Savannah Georgia. Currently, the median rent per month is $1350. The median sales price is $197,000 and a median price per square foot is currently about $114. This means it’s literally less money to buy and have a mortgage than it is to rent. This is great news for potential landlords. If you’ve been on the fence about investing in real estate throughout Savannah or the Pooler Georgia and surrounding areas, now is a great time for both buyers and landlords. If you’re planning on buying to rent out, there really is no better time. Buying a rental property really makes sense. A great little rental property in one of the newest developments along Cumberland Way is currently selling for about $215,000. This puts a monthly mortgage payment of about $975 per month. That’s about $760 in principal and interest including homeowners insurance and even property taxes. The 20% down payment and a 30 year fixed mortgage of 3.42%, this makes owning the property much less than renting. You could rent it out for about $1250 or even up to $1400 per month depending on the condition, netting a monthly profit of around $300 a month on average. Tack on a minimal property management fee on that, letting someone else do all the work for you and you’re still looking at over $250 profit every month, adding up to about $3000 extra per year. This is on average and it’s probably a pretty conservative average as well. A little farther south along Chapel Lake South homes between $140,000 and $180,000. Must take the average of about $150,000 for a home on Chapel Lake South in Savannah. This 1400 square-foot home built within the last 10 to 12 years as a monthly payment of only around $680-$700 per month. This is with of course a 20% down payment but even with a 10% down payment you are still under $1000. You probably easily rent this type of property for $900-$1200 per month easily gaining a profit between $200 and $400 each month. One of the best things about this is finding a local property manager that can manage the entire property for you from screening tenants to collecting monthly rental payments, deposited right into your account. Our property management services also handle all repairs, replacements and anything needed from the tenant on a monthly basis. All you have to do is sit back and collect your rental checks. 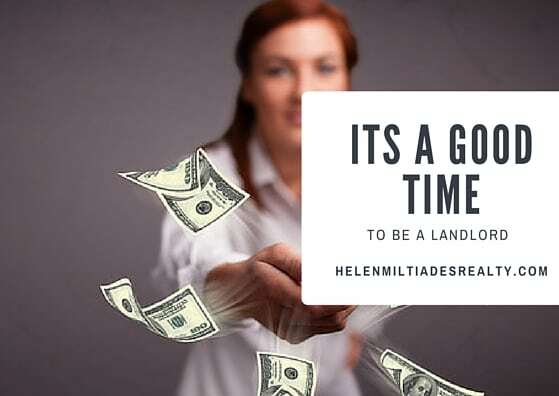 It’s a great time to be a landlord and if you’re considering investing in a property throughout Savannah Georgia or surrounding communities and towns contact our office today and let’s get started. I’d be happy to send you a customized list of homes and real estate that meet your search criteria and price range and discuss which options are the best for rental purposes.